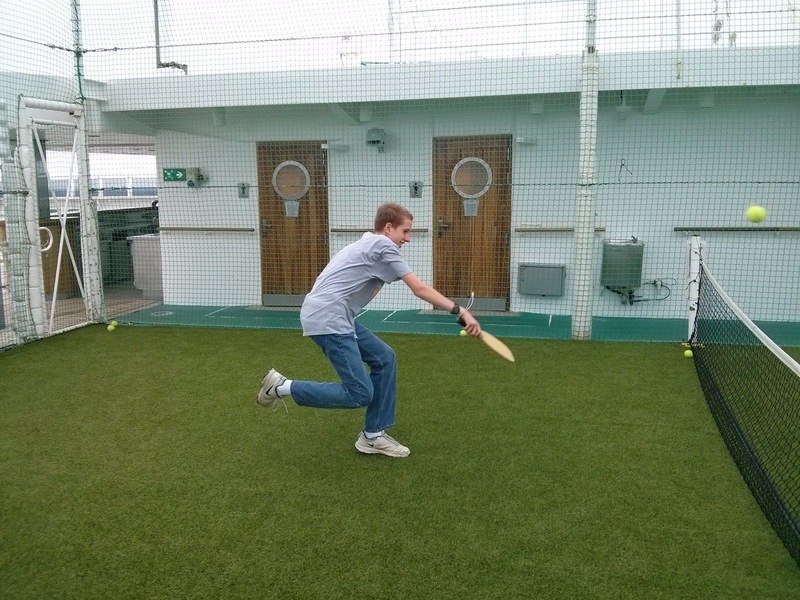 Most of the activities on board aimed at kids are run through the Youth Zone but that doesn't mean there isn't plenty for them to try and explore. There are sporting activities, views, cultural events, games and things to watch. The top most deck things like shuffle board and quoits. 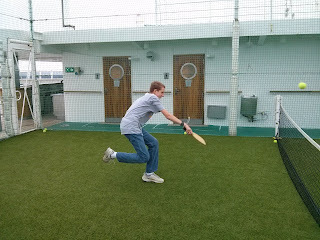 Often grade school children learn these activities in PE, so they were pretty excited to try them out on the ship. The basketball hoops had been removed but you can still use the court for other activities. The tennis court was fun to use but rumor has it after May 2016 both courts will be removed. Of course there is swimming. The top deck has a splash pool between two hot tubs. The splash pool can be more than a few inches deep. Not much to see there. On deck 12 is the pavilion pool, a covered pool with a retractable roof. It was between 4 and 5 feet deep. The rear of the ship had two other pools. The pool connected to the zone was a family pool with a splash area and a 4 foot deep pool. The other pool was labeled adults only but we saw plenty of teens using it. In the Golden Lion Pub you could play darts. Down by the Illuminations theater there were a few board games, chess and puzzles. Youth could check out additional board games from the zone. Playing cards were available but not to keep. The library had a small teen book section. The adult cultural activities may have some appeal to your kids. The lectures, at an hour, are a little long for most youth. Our kids liked the Royal Academy of Dramatic Arts who performed Pride and Prejudice, Shakespeare's Romeo and Juliet and other smaller shows. We also enjoyed the various singing and performance groups on board. There were also creative classes for art and acting. There are also great vistas to explore. On deck 12 from 10 to 4 there is a viewing area that you can watch the bridge. No pictures allowed though. There are also viewing areas above and below the bridge on deck 13 and 11. Deck 7 forms a track to do an outside loop of the ship. Forward of the loop deck 7 opens to an observation deck. It is usually very windy. Inside the library and commodore clubs have similar views. Lastly there are tours and demonstrations kids will be interested in. 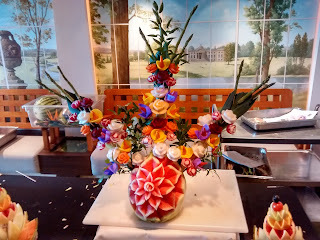 We all enjoyed watch the chef's perform a fruit carving demonstration. We were equally interested in a tour of the galley. There are also movies to watch in your cabin or the Illuminations Theater including the on board planetarium show. Going on a family vacation builds memories, provides life changing experiences and helps teach about the world we live in. Take time to explore, enjoy and have fun. If the day time activities sounded interesting, you may also like the article about the evening events. You can also look at our entire list of Queen Mary 2 articles.